Energy Resource of Australia (ASX:ERA), the world's fourth-largest producer of uranium, suffered a year-end net loss of A$219 million due to a high Australian dollar, rehabilitation work and falling uranium prices. A year ago ERA declared a $154 million loss. Energy Resource of Australia's revenue from the sale of uranium oxide in 2012 was A$395 million, while in 2011 it sold A$649 million. Sales of uranium oxide were 3,223 tonnes, down from 5,167 tonnes achieved in 2011. Both short- and long-term uranium supply declined sharply, noted the company. The spot price finished 2012 at US$43.38 compared to US$51.88 per pound at 31 December 2011. The long-term price declined in the second half of the year and ended 2012 lower at US$56.50 per pound compared to US$62.00 per pound a year ago. The average realised sale price of uranium oxide achieved by ERA in 2012 was US$58.33 per pound, compared to 2011 where it averaged US$59.32 per pound. Along with the price of uranium, the company declared an impairment charge due to the strong Australian dollar and rehabilitation work. Energy Resources of Australia is the country's largest uranium miner. It operates the Ranger Mine, 260 kilometers east of Darwin, Australia. 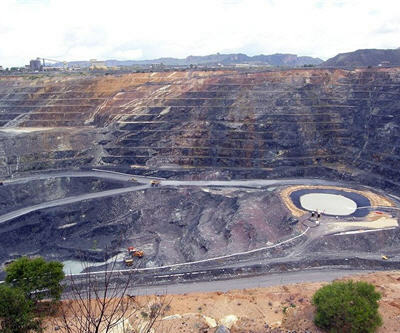 The mine is surrounded by the environmentally sensitive Kakadu National Park. The company closed Jan. 31 at $1.38. The 52-week range is $1.09 to $1.83.